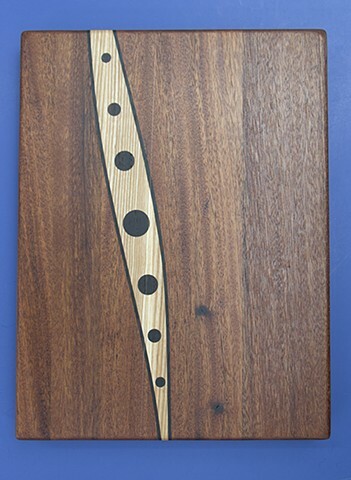 I make cheese boards using many types of hardwoods with the long grain on the face of the board. 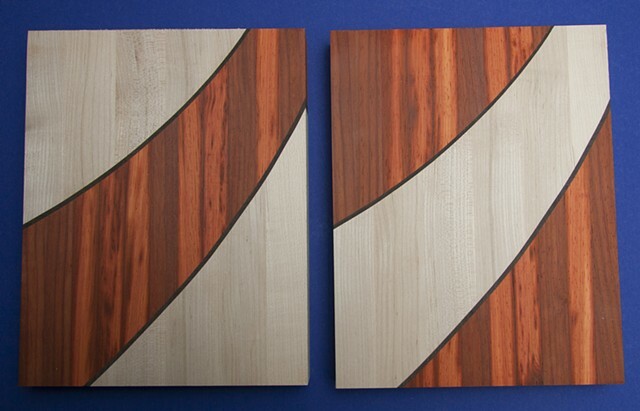 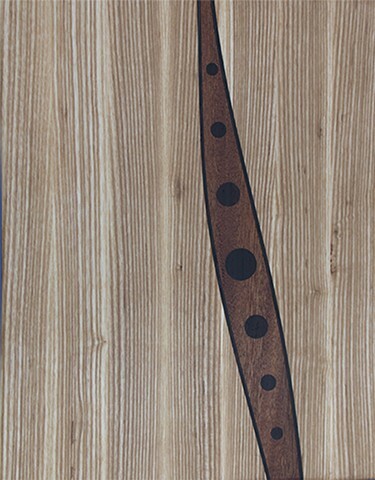 I then add decorative inlays using wenge, a dark brown, dense, hard wood. 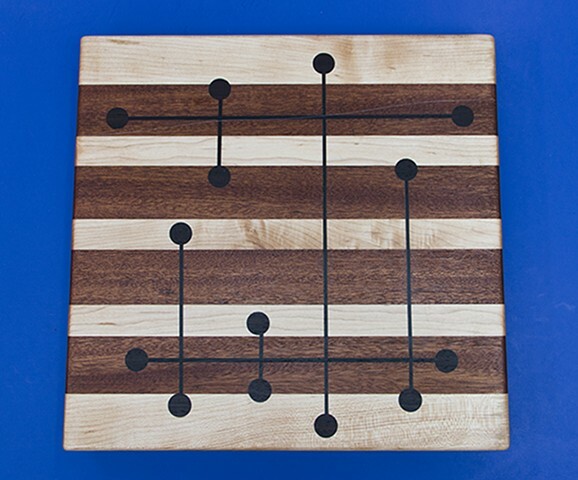 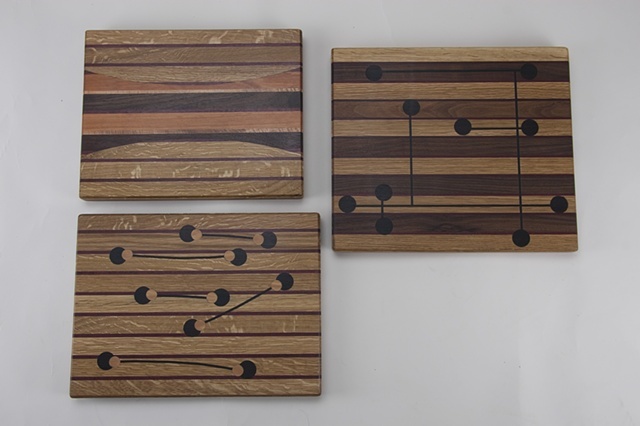 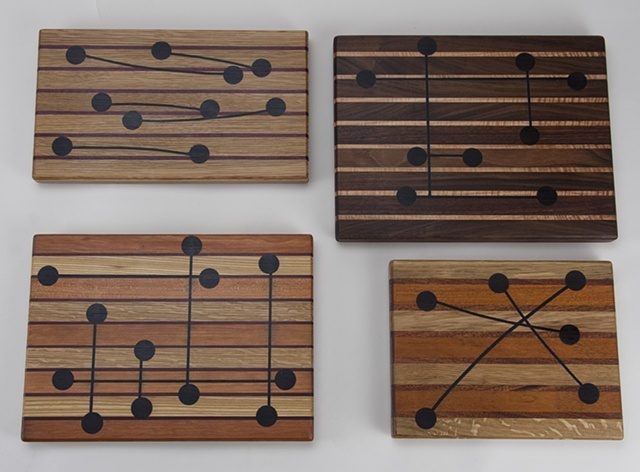 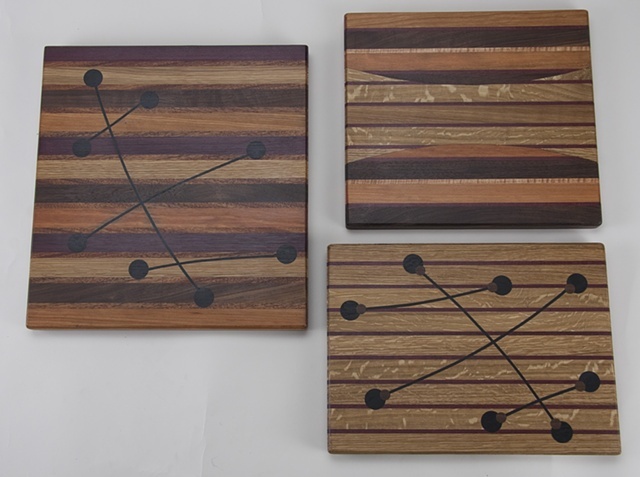 This group of boards ranges in size from 8.5" x 11" to 14" x 15", and prices range from $56 to $126, depending upon size.